I first became interested in getting an inflatable kayak after hearing about someone taking one out regularly on the coast, which until then I had not thought would be a good idea. 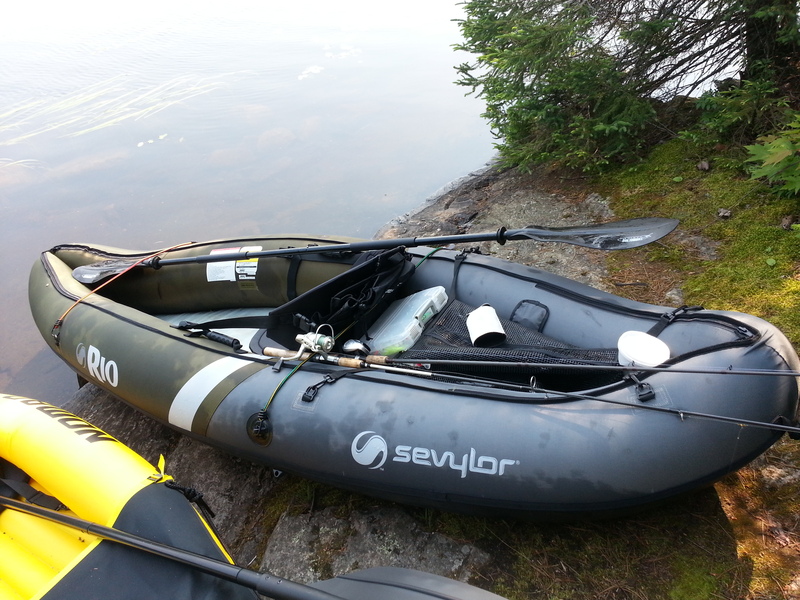 I did some research and found that inflatable boats can be quite robust! I decided to buy the Coleman Sevylor Rio because it seemed like the best one available on Amazon (plus free Prime shipping), and I've always had good luck with Coleman brand items in the past. 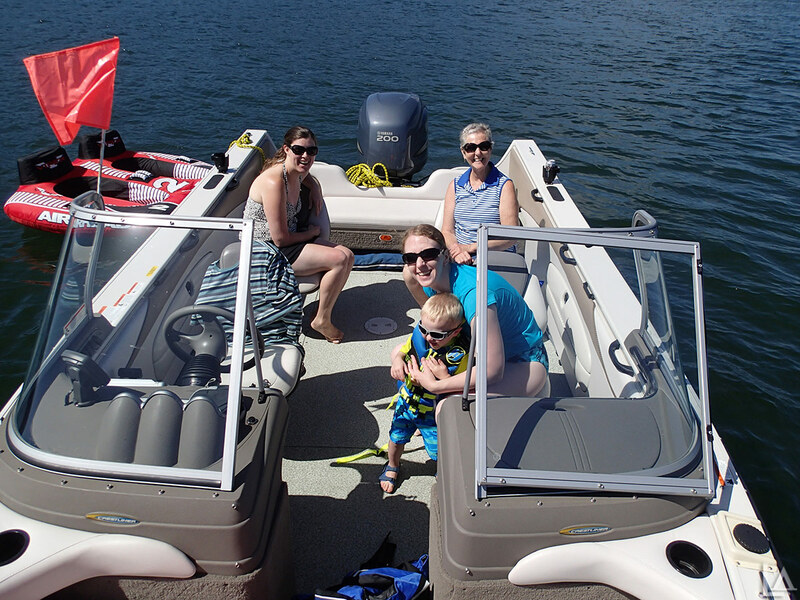 On Sunday we took our friends, Jordan and Melanie, out on our boat to have some fun on the Columbia River. It was busy, but still plenty of parking at Chinook Landing when we arrived around 10:30 am. We headed upriver and found a spot to anchor downriver from Rooster Rock. We tossed the tube out and Julian had a blast just floating around. 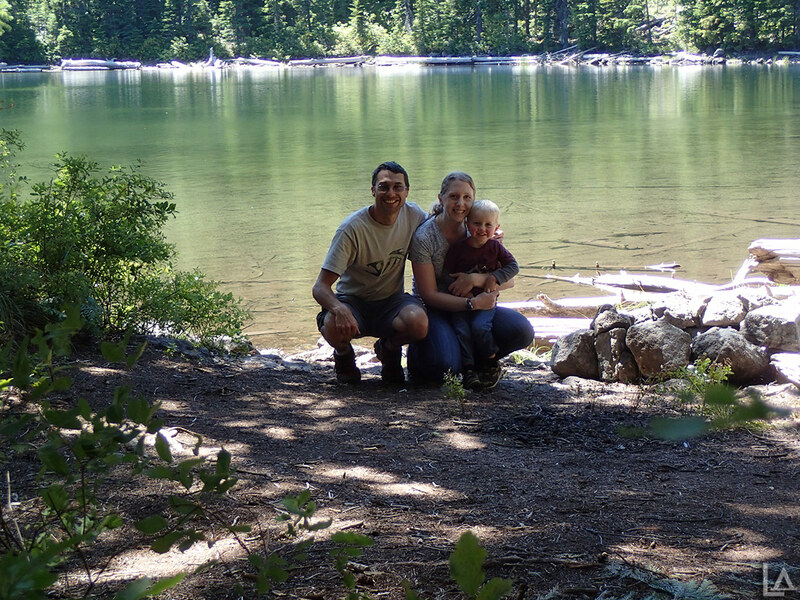 We decided it would be fun to go on a day hike Thursday while we were camping along Barlow Creek. We started from Barlow Creek campground (actually right across the creek from the campground) following Bonney Meadows trail #471 for about 2 miles. This trail intersects Catalpa Lake trail #535 (about 3/4 of a mile) just before it ends at FS road 250. 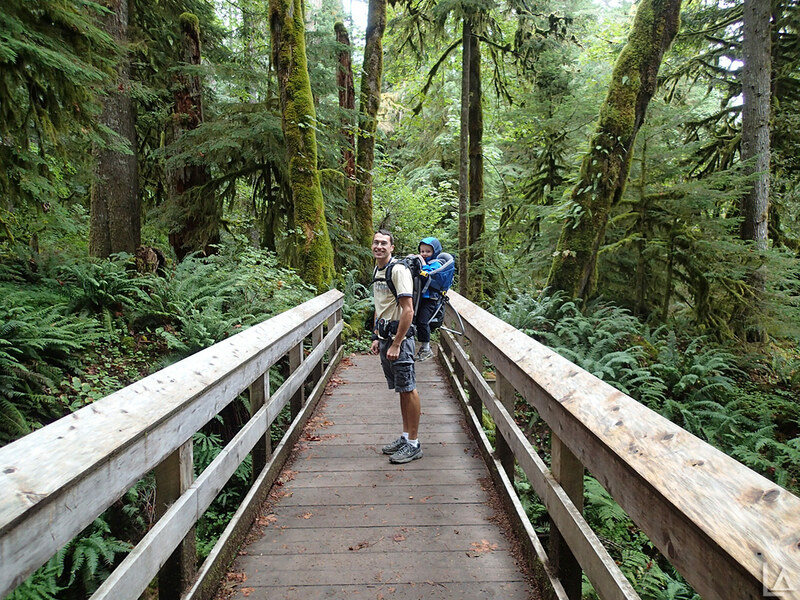 The hike is approximately 5.5 miles round-trip with 1,000 feet of elevation gain. 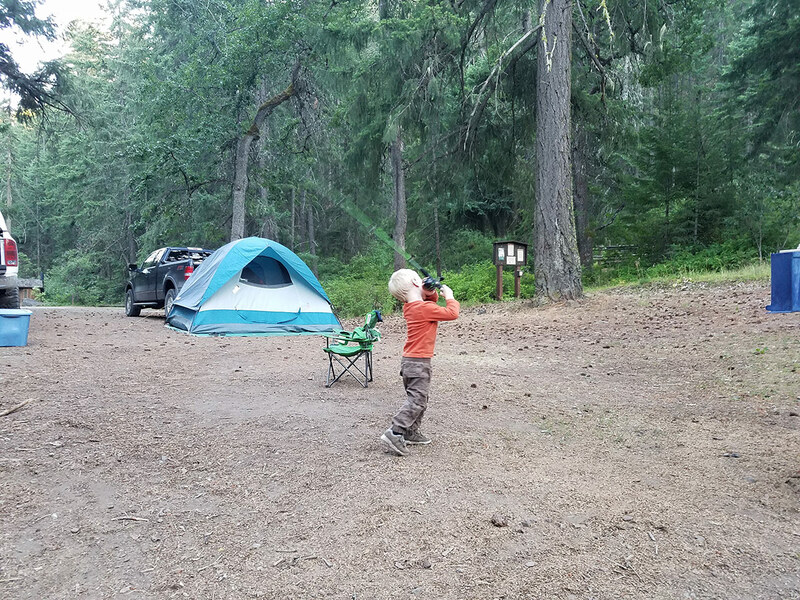 We took most of the week off to go camping as a family near Barlow Crossing Campground in the Mount Hood National Forest. 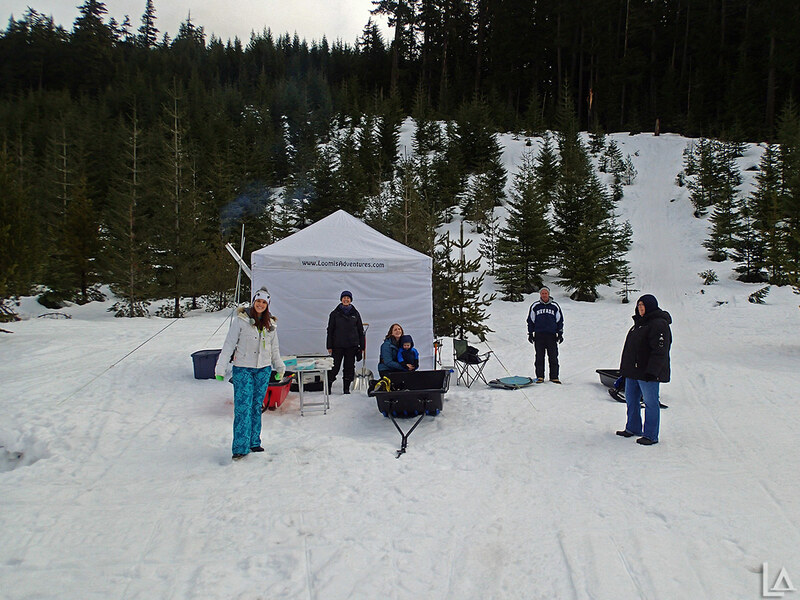 The campground is off forest service road 43 near its junction with road 48 on the SE side of Mt Hood. We left on Tuesday morning and arrived just after noon. 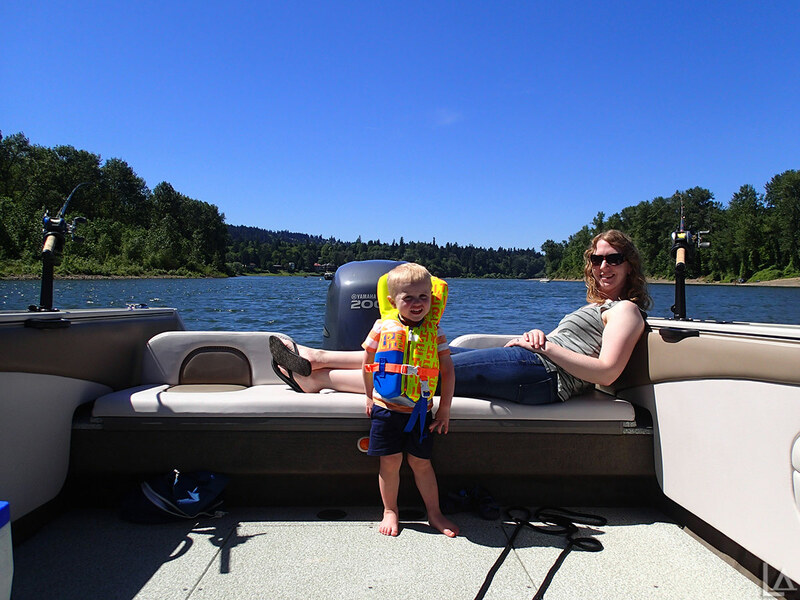 After getting our boat fixed (bad starter) we were eager to take it out and enjoy our beautiful Oregon summer. We took Katie's mom and friend Tracy out with us Saturday. We launched at Chinook Landing around 10 am. It was crowded due to a outrigger canoe race taking place Saturday. We headed upriver toward Rooster Rock. 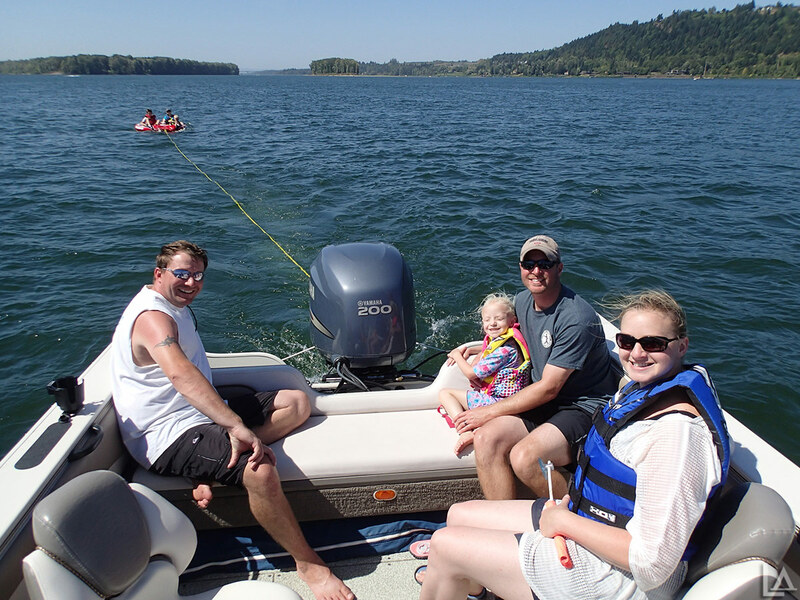 We found a nice wide stretch of the Columbia River where there was very little boat traffic and calm conditions. 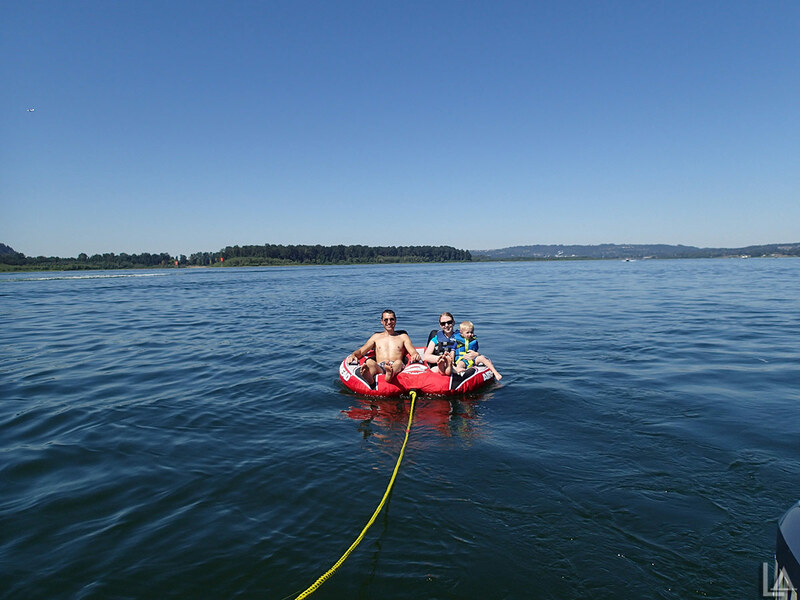 It was perfect for Julian to experience his first time being pulled behind the boat in an inner-tube. 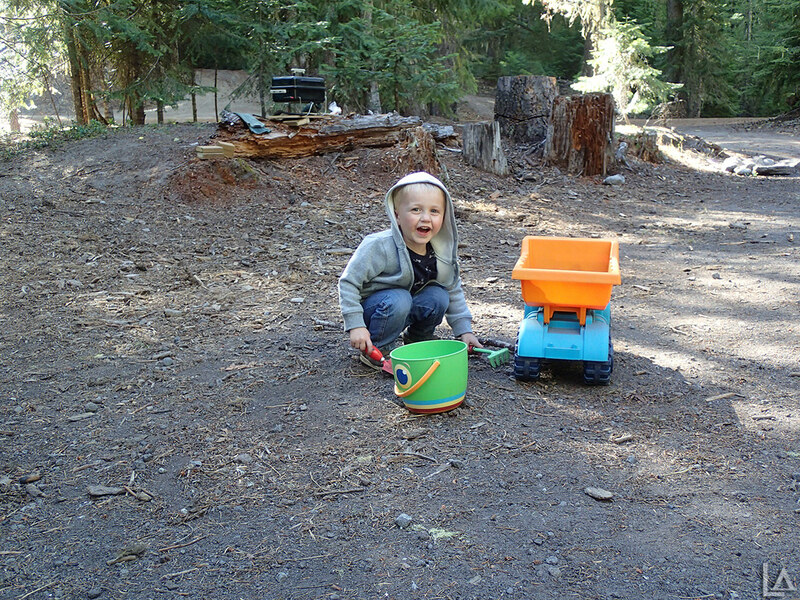 With a beautiful weekend forecast, we decided to go tent camping to Bonney Crossing campground with our friend John. Bonney Crossing is a small (less than 10 sites) primitive (no drinking water) campground at the Eastern edge of the Badger Creek Wilderness right along Badger Creek. It is located off FS road 2710 (about 2.5 miles North of Rock Creek Reservoir as the crow flies). Wamic is the closest town. 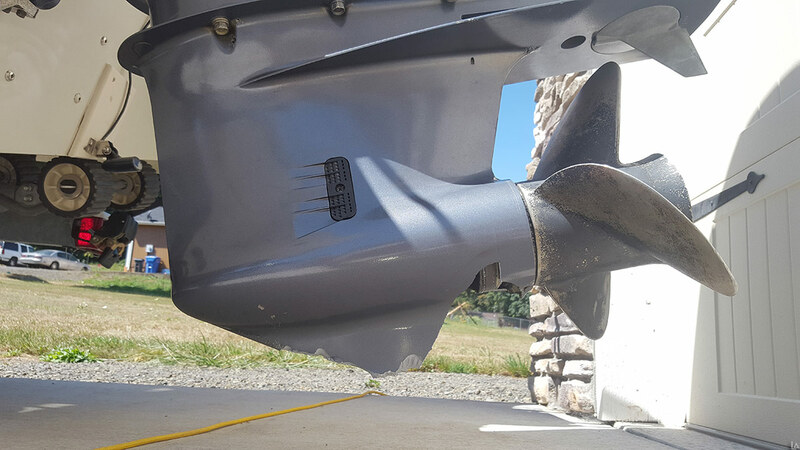 Shad have started going over Bonneville Damn, so that means its time to start fishing the Willamette River for them. Katie has every other Tuesday off from work, so I have decided to leave early from work on corresponding Tuesdays to take the whole family shad fishing. I haven't been fishing in awhile and when my friend John suggested we go trout fishing sometime, I thought of Rock Creek Reservoir. It's a 100 acre (when full in the spring) reservoir and is stocked several times in the Spring with rainbow trout. It shrinks down to a pond by the end of summer. Rock Creek Reservoir is located in Tygh Valley within the Mount Hood National Forest. It's about 6 miles WSW of the town of Wamic. 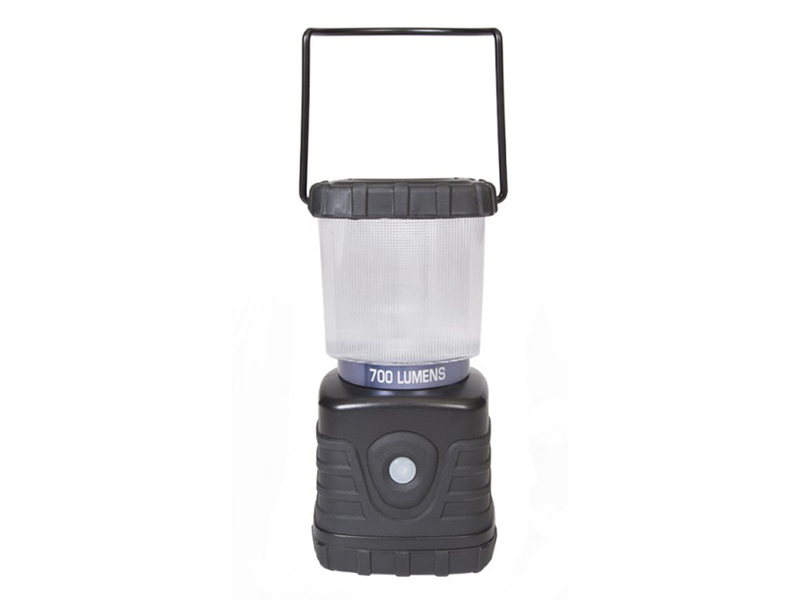 Rock Creek Campground is located on the Southeast shore of the lake and has 33 sites with water and outhouses nearby. 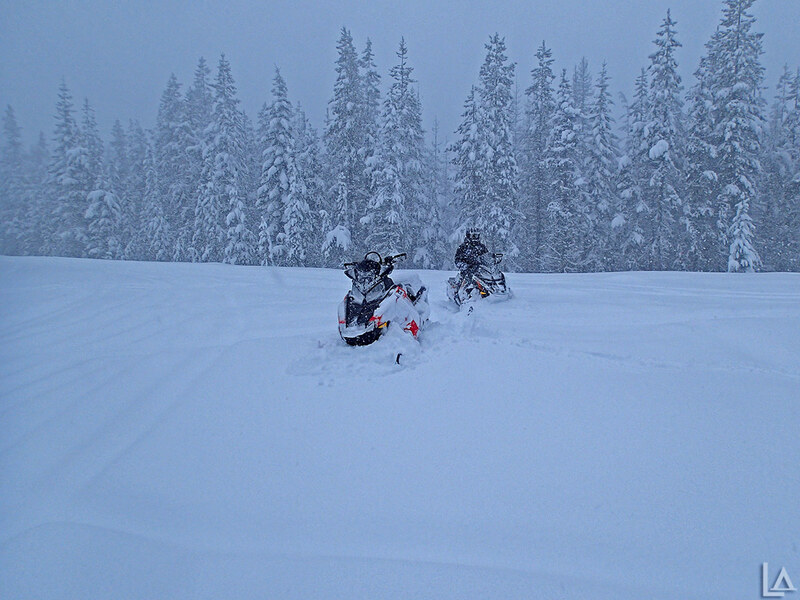 Snow levels have finally come back down to pass level, so my friend John and I went snowmobiling near Mt Hood on Sunday. We were the only ones at Skyline Sno Park. Most of the snow at pass level had melted since we were last up. But luckily there was enough new snow to cover the bare spots. After not being able to host our annual family snow day last year due to a lack of snow, we were happy to continue with our tradition this weekend. We had eighteen of us this year with family from San Diego, CA and Reno, NV joining us. The weather was nearly perfect with mostly cloudy skies and a temperature around freezing much of the day. 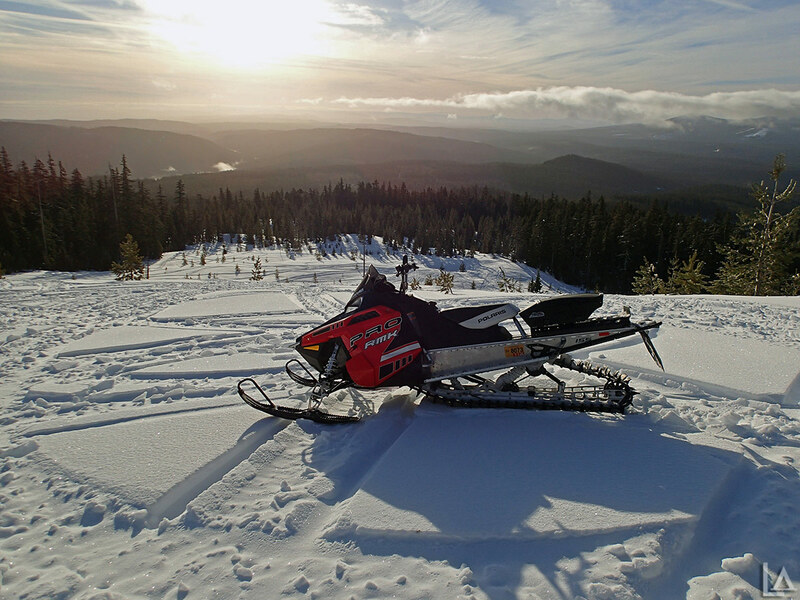 I took my brother-in-law Scott snowmobiling Saturday near Mt Hood. We unloaded from Frog Lake SnoPark and had beautiful weather. The temperature started just below freezing and warmed into the upper 30's. The trails were packed snow with consolidated snow off trail.